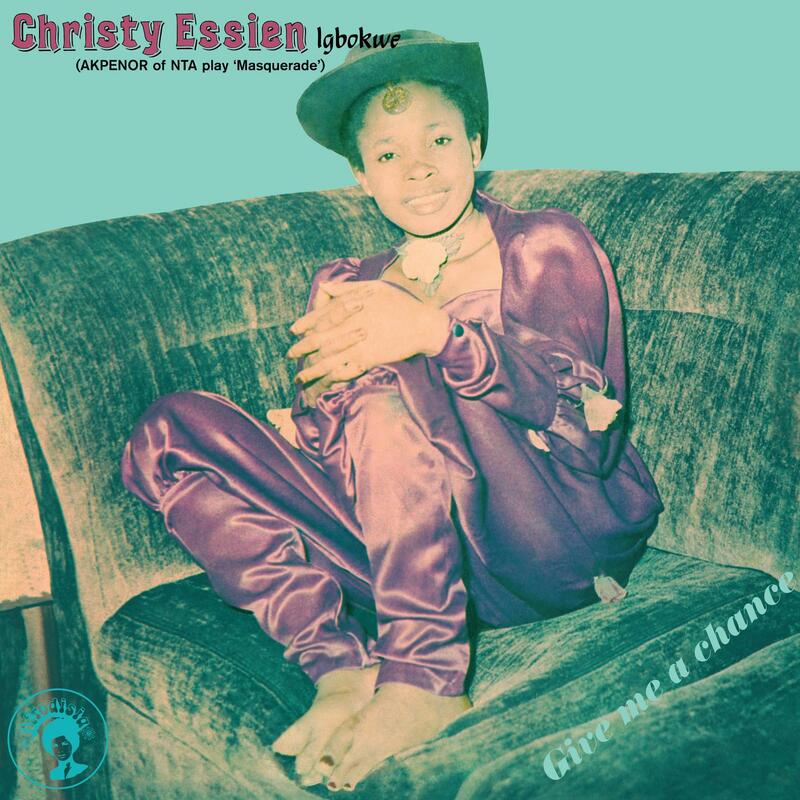 Christy Essien was one of the leading female recording artists of her time in Nigeria. Christy Essien was one of the leading female recording artists of her time in Nigeria. She was born in Akwa Ibom State in 1960 and enjoyed an accomplished career as a musician and an actress. Having conquered the music and TV worlds Christy moved on to feature in some of the early Hollywood films such as "Flesh and Blood" and "Scars of Womanhood", both of which addressed issues of child abuse and female circumcision. With a desire to make life better for Nigerian artists. She is also credited as having initiated the first meeting that brought about the formation of the Performing Musicians Association of Nigeria in 1981. Dubbed Nigeria's "First Lady Of Song", Christy produced a respectable 9 studio albums across a number of labels. Her fifth album "Give Me A Chance" was released in 1980 by Afrodisia, and is being officially reissued again by the prolific Nigerian label. "Give Me A Chance" showcases an impressive move on from her last album with a nice amount of variety. Her classic funky disco sound is most evident in what is her most notable song on the album "Rumours". This much sought after disco number is joined by a couple more disco grooves such as "Nobody Can Stop You" and "Onwu". "Ife" meaning love inflicts a little bit of reggae into the mix while the remaining tracks ("Saboteurs", "Don't Let Me Down", "Ikan Idomo" and title track "Give Me A Chance") take more of a traditional afrobeat - meets ballad approach. Christy died after a brief illness in 2011. Close to the time of her death, she was involved in numerous successful businesses, organization and running the non-governmental organisation Essential Child Care Foundation involved in child welfare. Christy's achievements and awards are numerous. Too numerous to mention. Perhaps her greatest achievement however is her contribution to building a peaceful and tolerant Nigeria - which, alongside moral uprightness, remain constant themes of her songs. All Songs Written, Composed and Arranged by Christy Essien Igbokwe. Most Songs inspired by Christy's loving baby-boy, Obiora. Selection of Songs from Christy's collection was done by her husband, Eddy Igbokwe. Music Backing performed by BLO. Remastered by Eugene @ Cromon Tor. Audio Restoration @ Tiger Bright Studios (www.tigerbright.net).